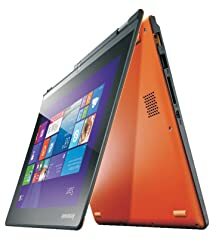 Lenovo Yoga 2 Laptop 11.6" Intel Pentium Quad Core N3540 4GB RAN, 500GB+8GB SSHD. 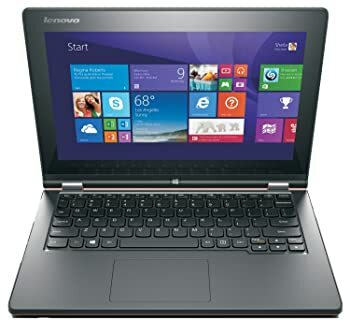 Buy Lenovo Yoga 2 Best Buy Laptop and Get Free Wireless Headphones and Bullguard Antivirus. 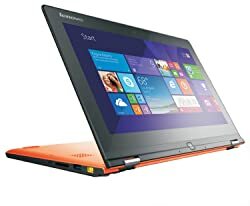 Lenovo Yoga 2 is an amazing all-rounder laptop. Whether you are using it for work or play its latest features and most advanced technology gives you optimum experience in both. Its option of multiple modes lets you enhance your usability and adds more comfort in your user experiencing by allowing you to select a mode which best suits your requirements. Lenovo Yoga 2 offers you four modes for added convenience and productivity. You can use it in tent mode, tablet mode, laptop mode or stand mode. Tent mode is ideal for working on its 10 point multi touch display whereas laptop mode gives you highest possible productivity. By using it in stand mode you can easily share your pictures and media on social media using the camera Man App. Or use it in tablet mode for more convenience on the go. With IPS wide view technology enjoy clear screen from every angle. Its 11.6 inch HD display has 10 point multi touch support which gives you more accuracy in every task. This easy to use screen is very sensitive and gives you a convenient typing and better gaming experience. 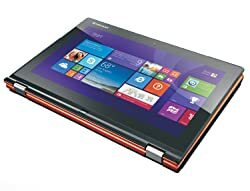 Lenovo Yoga 2 is extremely portable with light weight and slim design. It is only 1.45 kg heavy and is only 11.7mm at its thickest. In order to give you high performance with style, it is packed with industrys first Quad Core Intel Pentium processor. Preloaded with Windows 8.1 it gives you more productivity by allowing you to put all your favourite apps on the start screen. Take your audio experience to the next level with Lenovo Yoga 2. 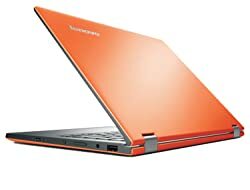 It is equipped with Dolby Home Theatre tools which enables you to experience immersive surround sound on your laptop. By Dolby Home Theater technology it delivers you clear cinematic surround through built in speakers. Not just speakers but it also delivers you high quality audio through headphones.